Monfalcone, Italy, 29 November 2017 – Today at the Fincantieri shipyard in Monfalcone, Italy, MSC Cruises officially took delivery of its new flagship MSC Seaside. The delivery ceremony took place in the presence of Sergio Mattarella, President of the Italian Republic, Graziano Delrio, Italy’s Minister of Infrastructures and Transports as well as other authorities and dignitaries. At the occasion of the delivery ceremony of MSC Seaside, the Company’s second newly-built ship to come into service in 2017, MSC Cruises and Fincantieri also signed firm orders for the construction of two Seaside EVO ships, a further evolution of the Seaside Class prototype, for a total investment of €1.8 billion. In addition to offering even more space, Seaside EVO ships will have greater dimensions, more cabins, an even larger Yacht Club – with an additional deck and larger cabins -- and will be hosting up to 5,646 passengers. At the same time, just like the Seaside Class, the Seaside EVO ships will be equipped with the latest advanced environmental technology, including: a Selective Catalytic Reduction (SCR) system, an advanced active emissions control technology system, that significantly reduces nitrogen oxide (NOx) into harmless nitrogen (N2) and water; exhaust gas cleaning (EGC) technology to meet the strictest exhaust regulations in port and in operating areas; state-of-the-art waste management and recycling systems; advanced water treatment systems – going above and beyond regulatory standards and meeting the highest industry standards; and, an advanced energy and heat recovery system. Across the ships, there will be the latest generation of energy-saving devices and all areas will feature LED lighting. The ships will be ultra-hydrodynamic and thanks to optimized hull lines, propellers and rudders, combined with the latest anti-fouling paint, wave resistance will be further reduced, and greater fuel-efficiency will be achieved. During today’s delivery ceremony, which pays tribute to centuries-old maritime tradition, Roberto Olivari, Fincantieri’s shipyard director, handed over to Pier Paolo Scala, Master of MSC Seaside, an ampoule holding the first water that touched the hull when the ship was floated out earlier this year. After the closing of the delivery ceremony, MSC Seaside initially set sail for Trieste. From there, she will continue to Miami for her naming ceremony on 21 December. MSC Seaside is the first ship in the Seaside Class and a completely new prototype pushing the boundaries of innovative ship building and design. At 153,516 GRT and with a guest capacity of 5,119, she is the second newly-built next-generation mega cruise ship in the MSC Cruises fleet and the first one to be delivered by Fincantieri. MSC Seaside will be homeporting in Miami and will begin her first sailing in the Caribbean where she will call at various ports in the East and West Caribbean. Fresh on the heels of MSC Seaside, her sister ship MSC Seaview will come into service in June 2018, starting her summer season in the Mediterranean. 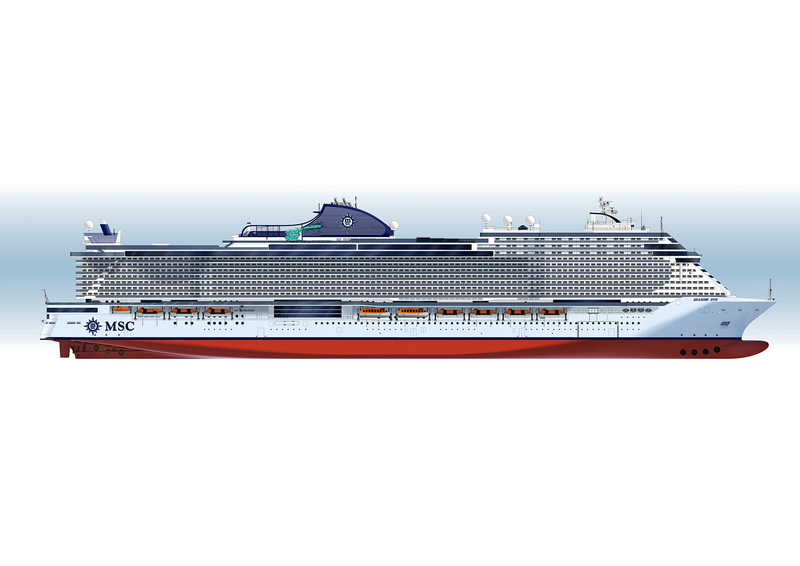 Today at the delivery ceremony, Mr Vago also announced that MSC Seaview will be christened in Civitavecchia, Italy, on June 2, 2018. Master Scala is a highly-experienced officer at sea who voyaged all across the globe, garnering substantial seafaring expertise on cruise ships and petrol tankers. He joined MSC Cruises in 2011 and was appointed Master of MSC Opera. Captain Scala has a deep technical experience in podded propulsion systems and since he joined, has commanded various ships in the Lirica, Musica and Fantasia Class. MSC Cruises is the number one cruise line in Europe and South America, and sails year-round in the Mediterranean and the Caribbean. Seasonal itineraries cover northern Europe, the Atlantic Ocean, Cuba and the French Antilles, South America, southern Africa, and Abu Dhabi, Dubai and Sir Bani Yas. In 2014, MSC Cruises launched an investment plan to support the second phase of its growth through the order of two ships of the Meraviglia Class and two others of the Seaside Class and in February 2016, confirmed the existing options to build a further two now Meraviglia-Plus Class ships with an even greater capacity. 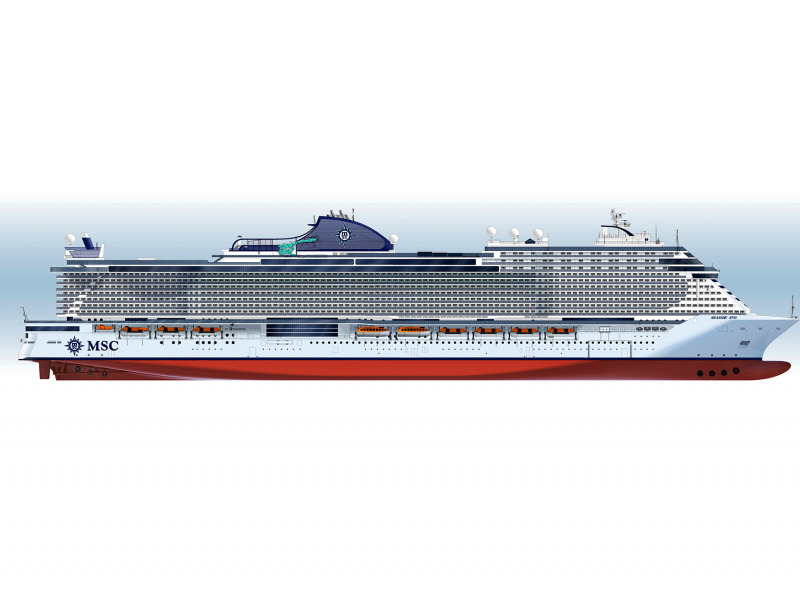 In April 2016 this rose to €9 billion with the announcement of signing of the slot reservation agreement to build a further four ships, each with next-generation LNG propulsion technology. In November 2017, the Company confirmed a slot reservation agreement in 2021 and secured a second slot in 2023 for two Seaside EVO ships, raising the total investment plan to €10.5 billion. 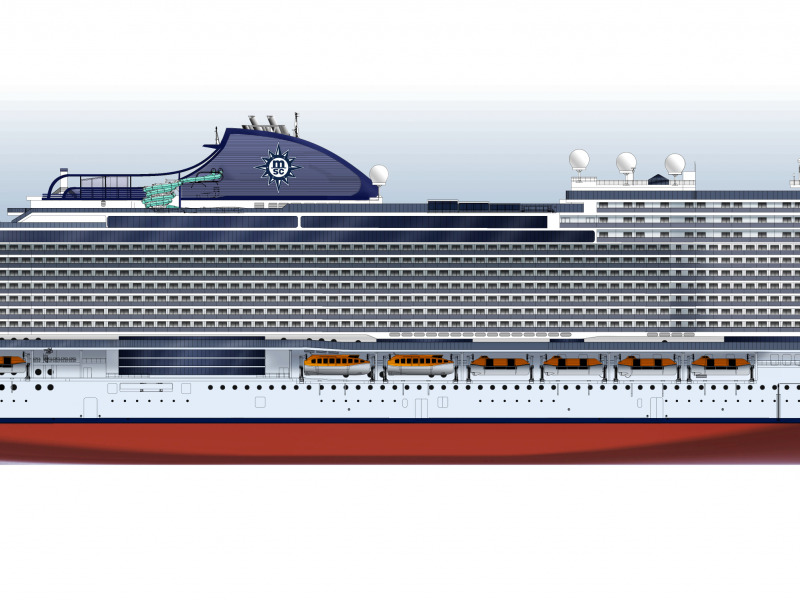 MSC Cruises is the first global cruise line brand to develop an investment plan of this length and magnitude, that between 2017 and 2020 will have already delivered six new cruise ships. The MSC Cruise experience embodies the elegant side of the Mediterranean to create unique and unforgettable emotions for guests, through discovery of the world’s cultures, beauties and tastes. Its fleet comprises 14 modern ships: MSC Seaside, MSC Meraviglia, MSC Preziosa; MSC Divina; MSC Splendida; MSC Fantasia; MSC Magnifica; MSC Poesia; MSC Orchestra; MSC Musica; MSC Sinfonia; MSC Armonia; MSC Opera and MSC Lirica. MSC Cruises feels a deep responsibility for the environments in which it operates, and was the first company ever to earn the Bureau Veritas "7 Golden Pearls" for superior management and environmental stewardship. In 2009, MSC Cruises began an enduring partnership with UNICEF to support various programmes assisting children worldwide. So far, more than €7 million has been collected in voluntary guest donations. Headquartered in Trieste (Italy), the Group has built more than 7,000 vessels in over 230 years of maritime history. With more than 19,400 employees, of whom more than 8,200 in Italy, 20 shipyards in 4 continents, today Fincantieri is the leading Western shipbuilder. It has among its clients the major cruise operators, the Italian and the U.S. Navy, in addition to several foreign navies, and it is partner of some of the main European defence companies within supranational programmes.